Bangkok wasn’t all tattoos and monks. I did get the opportunity to do some sightseeing. I’d visited the city with friends a couple of years ago so had seen quite a bit already, so I spent most of my time just wandering and doing more shopping in three days than I had done in the previous three years. At first I stayed near the Victory Monument (Midtown Hostel – more expensive but not particularly worth the money) due to its convenience for getting the early morning bus to Wat Bang Phra. The location was pretty good, especially for me as I love walking around the city and it wasn’t heaving with tourists round here. After this, I moved to a cheap hostel though Oldtown Hostel was more sleek than the first one and, at £4 a night was a lot cheaper. This location meant I wasn’t too far from the big attractions. 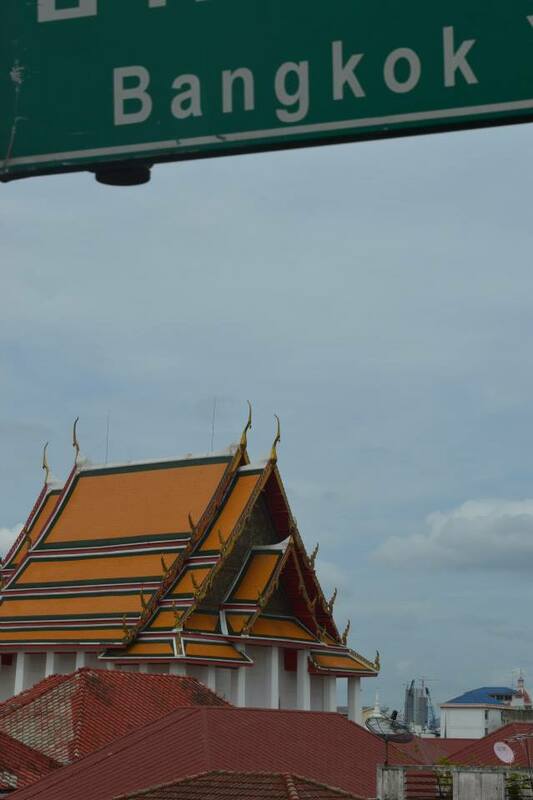 Big attractions weren’t really on my list for Bangkok though. I’d heard mixed things about the Grand Palace and, given it’s pretty expensive, decided to give it a miss. I did spend the 100 baht (£2) to visit Wat Pho, home to the gigantic Reclining Buddha who just looks as though he can’t be arsed doing very much. My kind of Buddha. It was definitely worth a look and the complex as a whole was good. Just down the road from Wat Pho is a ferry pier when you can catch a boat across or down the Chao Phraya river. I did a full boat cruise last time I was here so just paid 3 baht (-1p) to hop across the river to Wat Arun. It’s a dirt cheap way of getting across the river without committing a full day to a boat. The towering Wat Arun was under construction so wasn’t as its best but the grounds are free to walk around and I was reunited with some yummy pad thai and even yummier ice cream not too far from the temple. I popped my head round Koh San Road, the Ibiza of Bangkok, for old time’s sake, but found some of the nearby Blues bars more chilled and more my scene (I’m getting old!). On my last night, I had a great evening with the owner of Cafe 51 (just opposite Bangkok train station) Paul and a few other travellers. He basically stayed open late for us and we spent the whole night chatting and sharing stories. He cooked a bit of food for us and it was just a great, “traveller-esque” night. 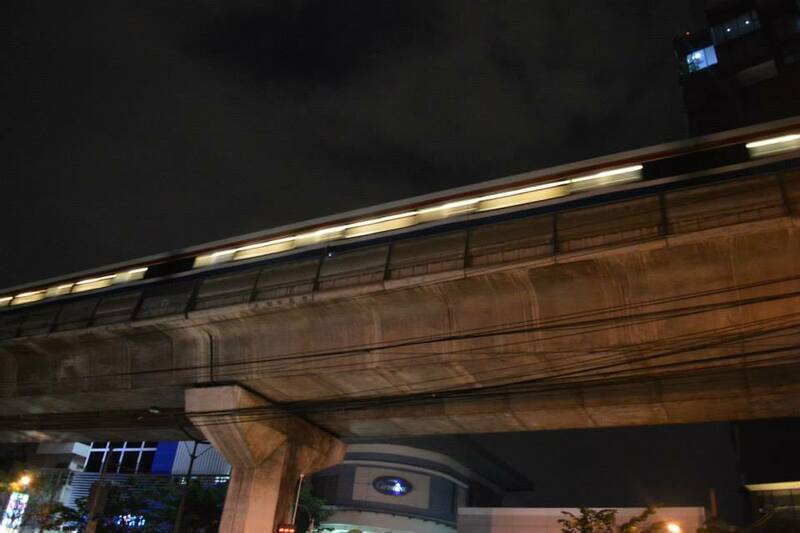 I did fall victim to the addiction that has swept the globe in Bangkok though – shopping. I’m not a shopper. I’m very much the kind of guy who goes in, gets what he needs and sprints out. However, I wanted to get a few new clothes so I headed to MBK, also known (admittedly, just by me) as the TARDIS shopping mall. It is unimaginably huge. I feel like I could take my little sister there, just leave her for a week and she wouldn’t get bored. There are shops, restaurants, food courts, market stalls, a cinema and probably an entire city hidden away in there somewhere. On the third floor (I think) is a huge market type area selling all the usual Thailand clothes – 7-11 t-shirts, Thai pants, snapbacks. I played tourist for a day and quite enjoyed haggling and browsing, though I’ve not stepped in a shop in the two weeks since as it zapped all the energy out of me. It’s definitely worth a look, especially as a lot of places have guideline prices so it’s not as intense as haggling down somewhere like Khao San Road. I do really love Bangkok though. The traffic is intense but I love its vibe, its food, the subway/SkyTrain (though getting around is more expensive than I envisaged). It’s a city I’ve visited twice now and I can definitely see myself returning again and again, as long as shopping is kept to a minimum. I’m definitely not bringing my mother and sister here, that’s for sure!